Music video: Swoope "#SameTeam Remix (feat. Jackie Hill, Taelor Gray, KB, JGivens, Alex Faith, and Kidd)"
“Bright Side,” the title-cut from Dove Award-nominated Curb recording artist OBB’s full-length debut, is featured in “Dallas Stars Edition,” the newly-released video from Dude Perfect, one of YouTube’s largest sports channels. With more than 1.3 million views in just over a week, the clip showcases hockey tricks from Dallas Stars players Jamie Benn and Tyler Seguin, along with Dude Perfect. 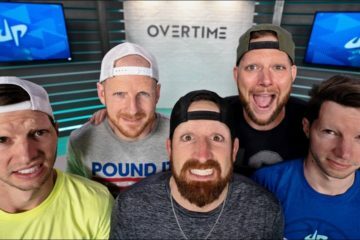 Earlier this year, OBB’s “All Eyes On You,” also from Bright Side, was featured in Dude Perfect’s “Office Edition.” The video has received more than 6 million hits since its debut in July. Bright Side released September 30 and was produced by Justin Ebach. 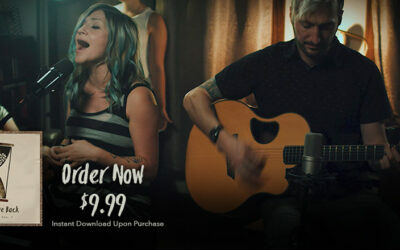 The project features 12 selections co-written by OBB. The Atlanta-based pop band is currently performing selections from Bright Side as co-headliners of the “While We’re Young” Tour, also featuring 1 Girl Nation. The fall outing is hitting such markets as Jacksonville, Florida; Jamestown, New York; Marietta, Georgia; and Hagerstown, Maryland, among other cities. Listed by Advertising Age as one of YouTube’s hottest brands, Dude Perfect has used its videos to inspire hundreds of millions with their contagious “Go Big” philosophy. In the five years since they exploded onto the scene, Dude Perfect has filmed videos all over the world and worked with Fortune 500 brands such as GMC, NERF, ESPN, AT&T and Southwest Airlines. With over 3 million subscribers and 375 million views across their online content, Dude Perfect is now the third largest sports channel on YouTube. The Dude Perfect brand recently expanded by launching a best-selling game for iPhone and Android, as well as their published book, Go Big. Believers themselves, Dude Perfect often uses their videos as a way to feature some of the best Christian artists in the industry. Everfound’s “Take This City” To Be Featured On ESPN Monday Night Football November 3rd!